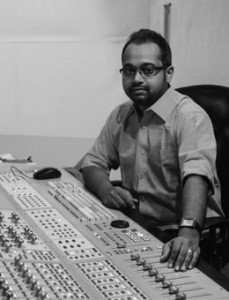 The Harman certified Pro Audio (Sound Design for Film & TV Course) curriculum has been designed to provide comprehensive training and education in three industries in Pro Sound – Studio Engineering, Live Sound Reinforcement and Post Production. True School provides the Studio Sound course that is designed to train students in the science and art of Music Recording & Mixing. Students learn fundamentally important audio concepts such as Acoustics, multi tracking, music editing & mixing. The Live Sound course teaches the students in technologies relevant to Live Sound production such as Live Sound stage setup, live sound console technology, monitor mixing etc. The Sound Design program trains the student in postproduction tasks such as Automated Dialogue Replacement, Foley Recording and Sound designing and Final Mix. Our international faculty provides you a world class learning experience by delivering a balanced curriculum in our state of the art facilities. Students are immersed in real world production situations through the numerous projects as part of the program. The focus of this module is to improve the critical listening skills of the student. Industry veterans are known for their acute listening abilities, we call them Golden Ears. This module makes the student take his first step towards outstanding listening abilities. The module begins with basics such as understanding song structure, recognition of musical instruments etc. and then proceeds with advanced ear training such as frequency bands, dynamic processing, listening for details in reverb, effect etc. At the end of this module the student should notice a marked improvement in his critical listening skills. Sound design basics is a module that introduces the student to the world of Audio Post Production. Students learn about the constituents of a motion picture soundtrack namely dialogues, sound effects, foley and back ground music. Students are taught post production specific technologies such as field recorders, surround formats etc. An important aspect of this module is usage of Pro Tools from a postproduction perspective. Being the industry standard platform for postproduction Pro Tools is covered in detail. Students work on visual content, dubbing dialogues, sound designing for different scenes and learning the craft of premixing and final mix. This module is a practical module where the students are assigned industry projects. 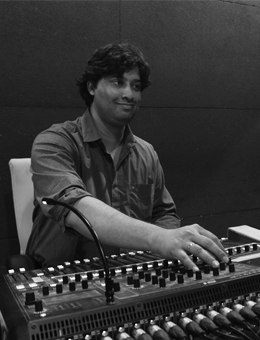 The student has to complete sound designing tasks for content provided to them under the guidance of the faculty. The work is appraised by the faculty and handed over to the client. The student is effectively working as part of the industry at this stage. Students pursuing audio programs at True School can choose additional Pro Sound modules as elective to widen the scope of their skills and knowledgebase. Furthermore students are free to pursue modules from any other course in which they find interest. Students should be fluent in English as it would be the medium of instruction and discussion. Student should have an aptitude for Music, Science and Technology. Prior experience in the relevant fields will be a bonus. Access to Music Production lab for DAW based projects. Access to auditorium for Live Sound projects and shows.